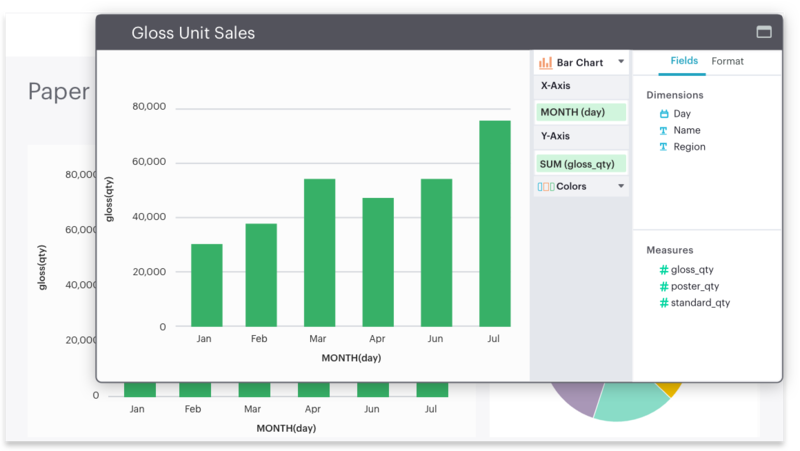 Analyze eCommerce data with SQL, Python, and visualization tools to build reports that help you understand your store. The integrated SQL editor, Python notebook, and report builder allow for seamless data exploration and analysis. Answer any question and quickly build reports to show results. Build out analysis to keep track of everything, from forecasting your next collection to powerful inventory and supply chain management. Connect your database and you're ready to go. Start delivering answers to your hardest questions in a fraction of the time it takes to implement a BI platform. Shopify Plus is an eCommerce platform, optimized for high volume and lofty goals. Shopify Plus is built to seamlessly scale your business and Mode is here to help you make sense of it all. Answer questions about customer engagement with your store. What's the Lifetime Value of customer who makes a purchase on their first visit? Which marketing channels are most effective and are we properly attributing traffic? What is the average basket size of returning customers? Plan ahead and never be surprised by a busy streak. Understand trends around inventory and maintain an efficient stock. Optimize big release timing based on fulfillment times, shipping, and buying trends. Increase operational efficiency with an informed view of processes. Connect your data, event tracking or other data sources to Mode and work in SQL or Python. 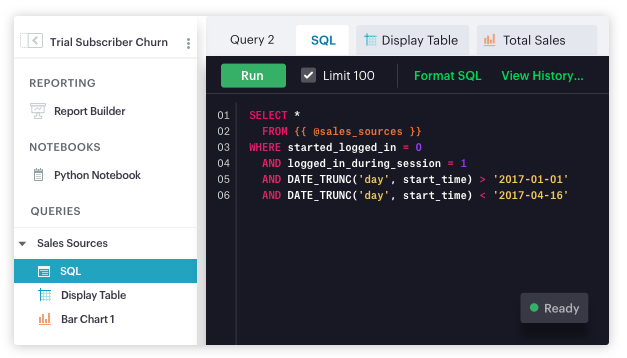 Write, run and save queries that help you answer tough questions around customer experience, buying patterns and predictive analysis. Powerful visualizations on top of your analysis that chart your store's course. Interactive reports allow you to explore data on the fly without having to write additional SQL. Create on brand charts and reports that match your identity and easily share with anyone on your team. 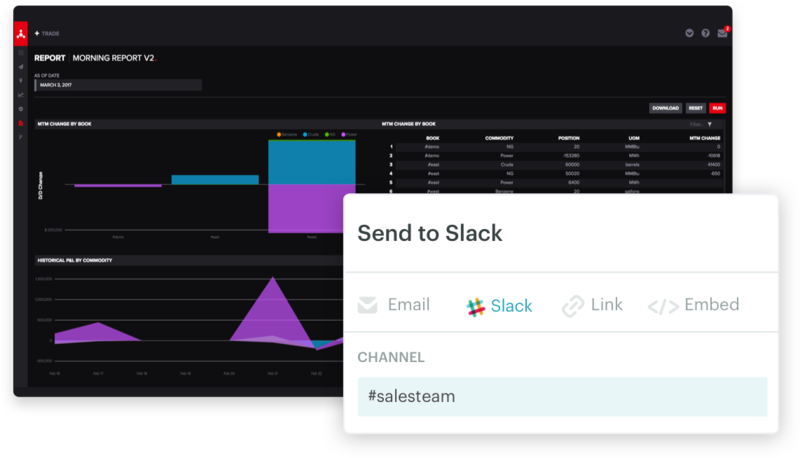 Looking to provide in app analytics? Reports are easy to embed in your Shopify Plus page.